The letter provides a fascinating look into how Martin’s story evolved, and offers some tantalizing clues as to where its current iteration might be headed. 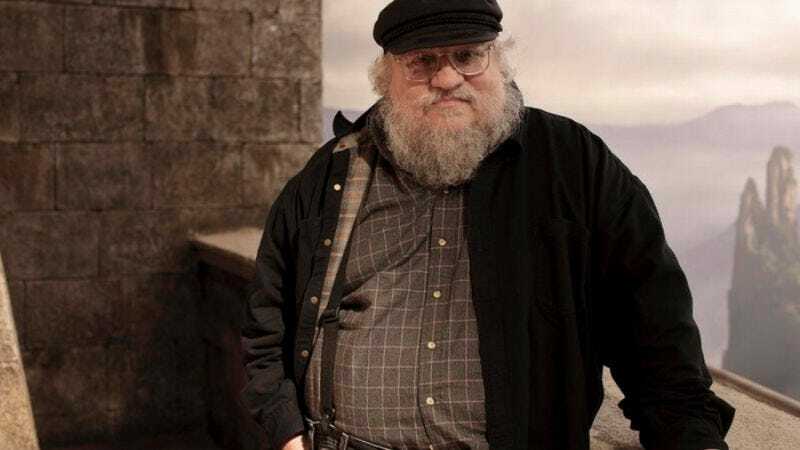 Here are some of the major and minor plot points from that original vision; obviously, what follows is full of spoilers, either for future books or the rich fantasy world contained within George R. R. Martin’s head. Catelyn, Bran, and Arya travel farther north, falling into the hands of Mance Rayder, King-beyond-the-Wall. Together with the Wildlings, they battle White Walkers, a battle which Catelyn does not survive. Jaime kills everyone else standing in his way to the throne, blaming the murders on Tyrion. On the run, Tyrion sides with the surviving Starks and falls in love with Arya, who doesn’t love him back. A “deadly” rivalry develops between Tyrion and Jon. Robb maims Joffrey on the battlefield, but is killed by Tyrion and Jaime in battle, with no mention of the Freys or the Red Wedding. Daenerys and her brother Viserys plan to lead the Dothraki to amass and invade the Seven Kingdoms, but it becomes clear that Khal Drogo has no intention on following through with these plans. As in the book, Drogo kills the annoying Viserys, but is in turn killed by Daenerys. When she flees the Dothraki, she stumbles upon dragon eggs, later returning with the dragons to control the horseriders and lead them to invade Westeros. Martin intends that only five main characters survive: Daenerys, Arya, Jon, Bran, and Tyrion. Jon’s true parentage is revealed in The Winds Of Winter, though we can likely still expect this to happen, if Martin doesn’t want to get chased by a pitchfork-wielding mob. It’s not surprising so much has changed in the time since the letter was written, as Martin remarks up front that he doesn’t outline his novels. “I find that if I know exactly where a book is going, I lose all interest in writing it,” he states. He alludes to how huge the project is, too, noting that it will be “quite an epic,” with all three volumes being “big books, running about 700 to 800 manuscript pages.” That might represent a rare burst of optimism from the author, given that the collected paperbacks of the unfinished series currently clock in at a page count of 5,216.